S. Lee, "Bubble Dynamics in Three Phase Fluidized Beds", University of Western Ontario, PhD-1985. A. Ravella, "PO Reactor for Methanol Conversion to Hydrocarbons", University of Western Ontario, PhD-1987. M. Larocca, "Fast Catalytic Cracking with Nickel and Vanadium Contaminants", University of Western Ontario, PhD-1988. D. Kraemer, "Modelling Catalytic Cracking in a Novel Riser Simulator", University of Western Ontario, PhD-1991. F. Simard, "Pseudoadiabatic Catalytic Reactor for the Conversion of Synthesis Gas into Hydrocarbons", University of Western Ontario, PhD-1991. A. Soria, "Kinematic Waves in Three Phase Fluidized Beds", University of Western Ontario, PhD-1991. J. Chabot, "Fluid Dynamics of Bubble and Slurry Bubble Reactors", University of Western Ontario, PhD-1993. H. Farag, "Catalytic Cracking of Hydrocarbons with Novel Metal Traps", University of Western Ontario, PhD-1993. A. Blasetti, "Multitubular Reactor for FCC: Design and Kinetic Modelling", University of Western Ontario, PhD-1994. A. Pekediz, "Oxidative Coupling of Methane in a Riser Simulator", University of Western Ontario, PhD-1994. P. Ege, "Turbulent Fluidized Bed Modelling. Application of Tracer and Fiber Optic", University of Trondheim, Norway, PhD-1995. J. Valladares, "A New Photocatalytic Reactor for the Photodegradation of Organic Pollutants in Water", University of Western Ontario, PhD-1995. W. Martignoni, "Modelling and Simulation FCC Reactors: An Heterogeneous Model", University of Western Ontario, PhD-1998. B. Serrano Rosales, "Kinetics and Energy Efficiency in a Photo-Catalytic Reactor", University of Western Ontario, PhD-1998. D. Rivera, “Growth Kinetics of B. Thuringiensis Bioreactor Cultures”, University of Western Ontario, PhD-1999. K. Jarosch, "Reforming of Methane in a Fast Fluidized Membrane Reactor", University of Western Ontario, PhD-2000. L. Hagey, "Kinetic Modelling of the Conversion of Synthesis Gas into Light Olefins Using a Bi-functional Catalyst", University of Western Ontario, PhD-2001. S. Al-Khataff, "Diffusion and Reaction of Hydrocarbons in FCC Catalysts", University of Western Ontario, PhD-2001. H. Ibrahim, "Photocatalytic Reactor for the Degradation of Air Borne Pollutants. Photoconversion Efficiency and Kinetic Modelling", University of Western Ontario, PhD-2001. T. El Solh, "Dry Reforming of Methane in a Fast Fluidised Bed Reactor. 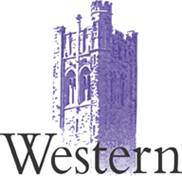 Catalysis and Kinetics ", University of Western Ontario, PhD-2002. M. Salaices Arredondo, "Photocatalysis in Slurry Reactors. Radiation Transmission and Kinetic Modelling", University of Western Ontario, PhD-2002. R. Hernandez Barajas, “ Dynamic Simulation of the FCC Process: A Kinetic Model Based on Probability Theory”, Instituto Tecnológico de Celaya, Mexico; University of Western Ontario, PhD-2003. J. Atias Sucre, "Adsorption, Diffusion and Reaction in FCC Catalysts", University of Western Ontario, PhD-2004. S. Nova, “Fiber Optic Sensor for Multiphase Reactors”, University of Western Ontario, PhD-2005. I. Torre, “Kinetic Modelling of the Catalytic Cracking of Paraffins and Waxes”, Universidad del País Vasco, Spain, PhD-2005. A. Ortiz Gomez, “Enhancement Mineralization of Phenol and Other Hydroxylated Compounds in a Photocatalytic Process Assisted with Ferric Ions”, University of Western Ontario, PhD-2006. M. Hossein, “Fluidized Bed Chemical Looping Combustion: Development of A Bimetallic Oxygen Carrier and Kinetic Modelling”, University of Western Ontario, PhD-2007. L. Jaimes, “Thiophene Conversion under Mild Conditions over a SZM5 Catalyst. A Mechanistic, Thermodynamic and Kinetic Approach”, University of Western Ontario, PhD-2009. M. Al Sabawi, “Kinetic Modelling of the Catalytic Conversion of Cycloparrafins”, University of Western Ontario, PhD-2009. M. Islam, “Dynamic of Particle Agglomeration in Downflow Reactors and Fast Fluidized Beds”, University of Western Ontario, PhD-2010. E. Salaices, “Catalytic Gasification of Biomass Surrogates. Thermodynamics and Kinetic Modeling”, University of Western Ontario, PhD-2010. G. Elordi , “ Thermal and Catalytic Pyrolysis of Polyolefins in a Spouted Bed Reactor”, Universidad del Pais Vasco, Spain, PhD-2011. J. Moreira del Rio, “Photocatalytic Reactors for Water Treatment with Modified TiO2 Semiconductors”, University of Western Ontario,PhD-2011. J. Garcia Hernandez, “Photocatalytic Reactors for Air Treatment. Energy Efficiency and Kinetic Modelling”, University of Western Ontario, PhD-2012. G. Jimenez Garcia, “Catalyst Activity and Reactivity in FCC”, Universidad Michoacana San Nicolas Hidalgo, Mexico, PhD-2012. S. Escobedo, “Photocatalytic Splitting of Water for Hydrogen Production”, University of Western Ontario, PhD-2013. S. Bogami, “Catalytic Desulfurization of Gasoline”, University of Western Ontario, PhD-2013. R. Quddus, “Chemical Looping Combustion with Bimetallic Oxygen Carriers”, University of Western Ontario, PhD-2013. S. Al-Ghamdi, “Propane Oxidative Dehydrogenation Over Supported Vanadium Oxide Catalysts. Reactivity and Kinetic Modelling”, University of Western Ontario, PhD-2013. A. Mazumder, “Steam Gasification of Biomass Surrogates: Catalyst Development and Kinetic Modelling”, University of Western Ontario, PhD-2014. A. Al-Dugaither, “Conversion Of Dimethyl-Ether to Olefins over HZSM-5 Reactivity and Kinetic Modeling”, University of Western Ontario, PhD-2014. G. Navarro, “Diffusion and Adsorption Coefficients of Aromatic Hydrocarbon in Gas Chromatography Capillary Columns”, University of Western Ontario, PhD-2014. P. Valades, “Photocatalytic Conversion of Organic Pollutant in Photo-CREc units”, University of Western Ontario, PhD-2014. A. Lanza, “Fluid Dynamics Studies in DownFlow Reactors Using CREC-Optiprobes”, University of Western Ontario, PhD-2015. A. Uribe, “Catalytic Cracking of VGO and Pyrolysis Oils Blends in an FCC Unit”, Universidad del Pais Vasco, Spain, PhD-2015. C. Lugo Vega, “Evaluation of VOC Degradation in Photo-Catalytic Air Reactors: TiO2 Immobilization, Energy Efficiency and Kinetic Modeling”, University of Western Ontario, PhD-2016. G. Che Galicia, “Selective Adsorption of Sulfur containing compounds”. Universidad Autonoma Metropolitana, Mexico, PhD-2016. Y.Aponte, “Sulfur Reduction Using FCC Additives in Aromatic Gasoline Environment”, University of Western Ontario, PhD-2016.